Alliance is a voluntary intensive case management program to assist individuals with a history in the criminal justice system and who may also have problems related to alcohol/substance abuse and mental illness. The goal is to be the bridge between the program participants and community resources to establish support systems for optimal success upon an individual's release. 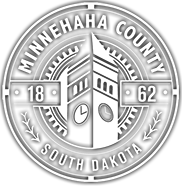 Meetings with program participants begin during their incarceration in the Minnehaha County Jail and continue on after they have been released to promote optimal follow through and success. Program participants are linked to medical providers to avoid further medical risks, social service agencies including mental health and substance abuse treatment, and appropriate housing resources as needed. Staff also assist participants with completing paperwork, coordinating appointments, and linking them to vocational and education programs and/or Social Security, if necessary. By connecting these individuals to the appropriate services and support systems, we are empowering individuals to make positive, personal choices that will decrease their recidivism, promote wellness, and offer the opportunity to lead productive lives.